Fiery Spanish temperament, deep emotions and Mediterranean atmosphere are presented on this recording by the "Duo Arcadie" for voice and guitar. Franziska Markowitsch (Mezzo-soprano) and Ulrike Merk (Classical Guitar) display a wide spectrum of Spanish music, with compositions for vihuela from the Renaissance by Luys de Narváez and Juan Vásquez, Joaquin Rodrigo's timeless subjects, García Lorca's flamenco-flavoured musik, and "Siete Canciones" and "Cancion y Danza" by Manuel de Falla and Antonio Ruiz-Pipó, who were both influenced by French impressionism. Sephardic songs in the Mozarabic dialect have been kept alive in exile for 500 years, and provide a "missing link" in the Spanish musical tradition. 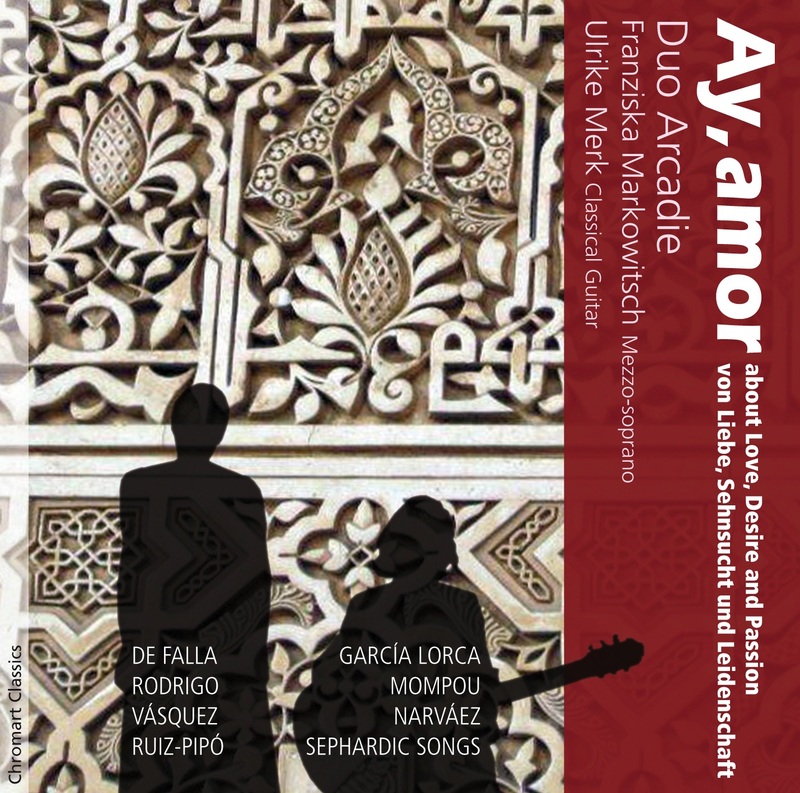 Two premiere recordings complete this kaleidoscope of works from the past and present: Federico Mompou - "Canción y Danza (Sobre dos Cantigas del Rey Alfonso X) para guitarra" and "Sephardic Songs", arranged by Ulrike Merk that will be published by Doblinger Vienna to coincide with the release of this CD.